Guys! Look what I have just got. 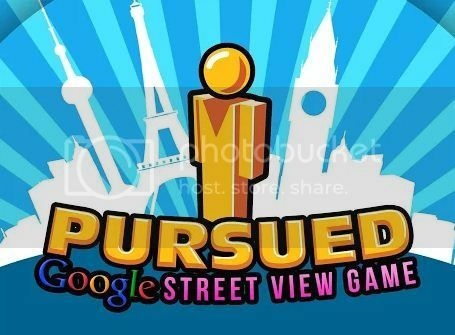 Pursued - an addictive Google Street View based exploration + adventure game. It says - "You've been taken without warning. A friend is trying to help you, but you must figure out where you are!" It sounds really cool! I am enjoying the puzzle concept of this game. Excellent to go through streets that one would not normally travel. It's awesome! This sure looks interesting. Thanks for the heads up.